As a child I would often be invited by my mother to do gardening with her. I was anything but interested. Playing in the dirt was one thing, but gardening was not on my list of fun things. So I opted for playing with the water hose and watching cartoons. I had no interest in seeds. Besides, everything I ever planted seemed to die. Luckily, Jesus had a different perspective. I can imagine that those listening were empathetic with the farmer who had lost his seeds to birds, heat, and weeds. But I also wonder if they questioned the farmer’s gardening skills. This farmer did not seem to be intentional about where he was throwing his precious seeds. Maybe he should have inspected the fields better. Maybe he should have buried the seeds deeper. His methods may have seemed unorthodox, but this story may have a missed meaning for us. In this parable we usually like to take the role of the sower. We like to be the ones sprinkling seeds of gospel, spreading Christ throughout the unpredictable soil of the world. We like to be the farmer. But what if we aren’t? What if we aren’t the ones in control of spreading the seed, but instead we are the seeds—people being spread by God, the heavenly farmer, across various circumstances with the expectation for us to grow where we are. 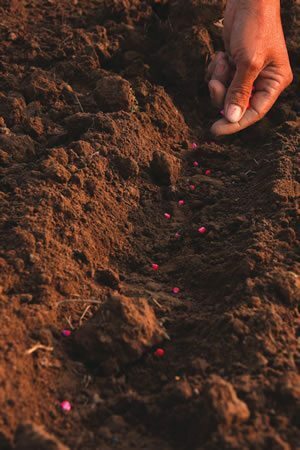 Like the seeds, we may find ourselves scattered in hard situations, questioning the farmer’s planting skills. I can’t tell you how many times I’ve cried out to God, asking, “What are you doing with me?” From our limited ground perspective, the world may seem like rocky, weed-infested soil. Yet, with what looks like unorthodox methods to us, there is a skilled and patient farmer scattering us exactly where He needs us. God wants us to produce fruit wherever we are. However, if we have not allowed ourselves to be rooted in Christ, our spirits can wither under the heat of the scorching sun of our trials. The thorns and weeds of bills, relationships, balancing life, and demanding jobs threaten to choke out the fruit of the spirit budding inside. Often we want character growth and development, but not at the cost of self-sacrifice or discomfort. Christ’s Object Lessons says this: “The life must be cast into the furrow of the world’s need. Self-love, self-interest must perish. But the law of self-sacrifice is the law of self-preservation.”2 We may look at our situations and ask, “Why was I planted here?” However, Jesus wants us to grow where we are scattered. He promises that the seeds He sows will not be in vain, but will grow and flourish in peace. (Isaiah 55:10-13). Maybe, like the parable, birds have come and snatched a seed from your life. You may have lost a loved one to violence, cancer, or tragedy. History has cast us into many difficult furrows. Although we have found ourselves scattered among the gravel of slavery, buried under poverty, and choked out by injustice, we have the option to change our perspective. A perspective modeled after the life of Jesus. There is hope. The Master farmer wants to do something in you, where you are. We can be like the seeds in the parable that were eaten, burned, and buried, or we can choose to be like Christ who grew where He was planted, dying to self and dying for us, under the worst conditions. Historically, societies don’t reach their full technological, economic, and political potential until after they first master the art of sowing and reaping crops, according to science historian Jared Diamond’s book, Guns, Germs, and Steel: The Fates of Human Societies. Likewise, we don’t develop full spiritual potential until connecting with Jesus to reap spiritual fruit (John 15:5). That fruit includes knowing God, obeying His commands, and having a loving and good character (Matthew 7:15-27; Galatians 5:22,23; Ephesians 5:9). As an adult I have come to respect my mother’s gardening skills and her ability to grow things in various types of soil. And now, I have a deeper respect for gardens, and God the sower, who scatters seeds and patiently waits for the results in our lives. God can, and will, do incredible things in our lives if we would submit ourselves to grow where we are scattered. 2 Ellen G. White, Christ’s Object Lessons (Washington, D.C.: Review and Herald Pub. Assn., 1900), p. 86. Kimberly Pearson, is a chaplain in the office of spiritual affairs at Oakwood University in Huntsville, Alabama. Day 1 -Read Matthew 13:10-13.
roundedtwitterbird Twitter, or roundedpinterest Pinterest. Day 2 -Read Matthew 13:18,19. Go through this list of Bible texts and write out any comparison to your life. Let us know if they are too good to be true, or so good they’ve got to be true! We at Message believe that God wants all to fall on “good soil.” We believe that Jesus promises that the Word will not return unto Him void. Whether we are the sowers, reapers, or receivers of the gospel, know that the outcome is in the Lord’s hands. That means that we need not be self-conscious or insecure about the outcome, because it’s a refection on Him and not us. It also means the glory fully belongs to Him and not the dispensers of His message of grace. Let us give glory to the only One to whom it is due. 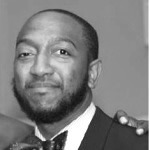 Rashad Burden is associate youth pastor at the Buckhead Fellowship church, in Atlanta, Georgia. Previous articlePreselected to Receive a Special Offer?